We’ve covered Motorola’s Moto G quite a bit recently because it’s the phone that doesn’t quit, providing great performance at an even better price. 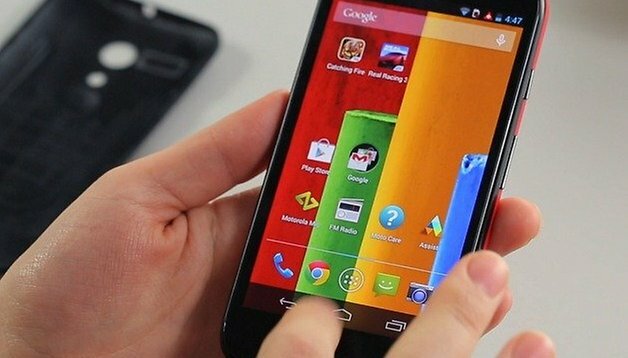 But your Moto G has probably got a few miles on the clock by now, and with the release of the Moto G2 on the horizon, you may feel it's getting a bit stale. Thankfully, we’re here to help with a quick tutorial on how to reset your Moto G for better performance. For starters, the more apps you install, the more your battery life and performance is likely to be affected. After spending even a few months with a device it can become rather sluggish. Also, you may be plagued by other problems like errors and crashes that were not always present. Why should I backup all of my important files? This is a simple backup option, but it is somewhat limited. Go to your settings and find backup & reset and make sure “back up my data” is ticked. When this is ticked, some of your data will automatically be copied to Google's servers. This does not include pictures or videos, or save files for games - it basically saves everything BUT your important files. Though it will keep your bookmarks and predictive text dictionary and app data for some apps. Use with caution. Connect your phone to your computer and manually copy all of the files you want to your hard drive. Simple. This would be my recommended option. Helium app sync and backup is one of the most comprehensive backup apps, and it's free. You can also check out our article on how to backup android apps for some other great ways to save important files. 2. Navigate to "Settings" and tap it. 3. Find "Backup & Reset" and tap it. 4. Touch "Factory Data Reset"
That’s all there is to it, your Motorola Moto G should now be back up to speed. Has your Moto G been suffering from performance problems recently?